Catomic postcards! : On5. We make mobile games. 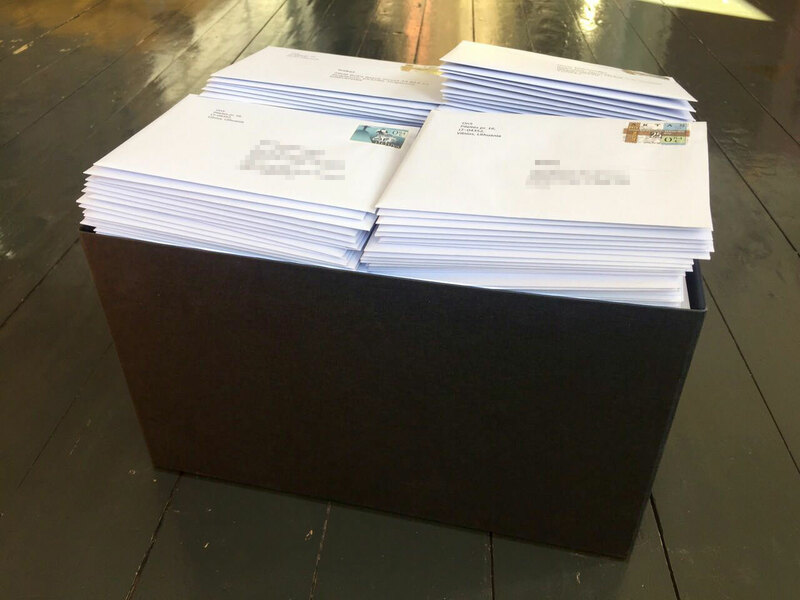 We keep sending tons of postcards to Catomic players! Just look at this! This box we sent just a few days ago, and we ran out of postcards again. No worries, we’re about to receive the next batch from the print shop. We are very glad to see high ratings in the stores, and it’s a pleasure to read your comments in the postcard ordering form. Don’t hesitate and post these comments in the stores too, so that others see them! If you applied for a postcard, it means that it has been sent, or will be sent in the next batch within a few days, when we restock. Not the entirety of our studio is busy running to the post office and back, and we are actually working on the game. We’ve released the Spring update this week, and the Easter update (egg hunt included!) will come very soon. The update following Easter will feature changes to the game logic and get the game to a new level. But more on that later! Actually,I want to know,how do you send the post card to me?Do you know my adress? I didn’t give you the information about me. My adress is China.. .Can be sent to me here..?